A few marathons ago (you know you've been doing too many when you can say that), I decided to include starvation as part of my taper strategy. The week before a marathon, I start loading up on pickle juice, sleep, carbs, and water. And I completely (to my power) cut out music. 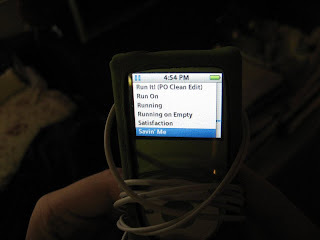 You see, I listen to music (on my Sony Walkman -- GIVEAWAY STILL GOING ON, and formerly iPod) on most of my runs. I've done a couple of races without music, mostly because I forgot or wasn't allowed to have it. 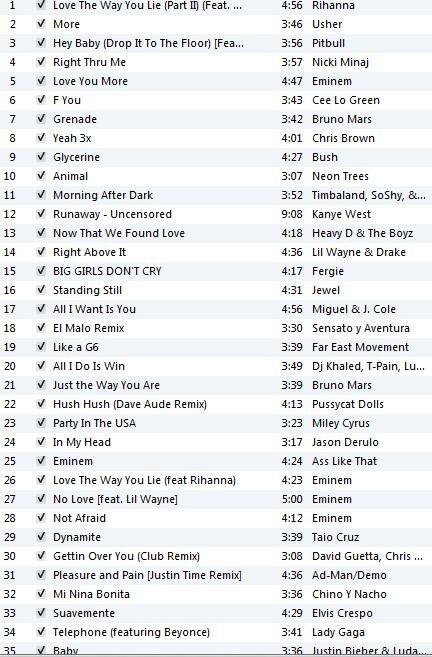 But when I can help it, I'm going to jam to Eminem in my darkest moments of the race. So this means that on my last runs before the race, my ears are open. I don't turn on the radio in the car (except talk radio), and I try to avoid lingering in music-playing supermarkets or stores for very long. Does that qualify me as weird?? Off to listen to more talk radio and drink pickle juice. oh I thought you were talking about food too and I was confused because it said Marithon. I'm glad to know that you're still feeding yourself!! I'm going to have to check out some of the songs on your playlist. There are some that I haven't heard. cool idea. i don't really ever train to music but i like listening to it before runs / races to pump me up. 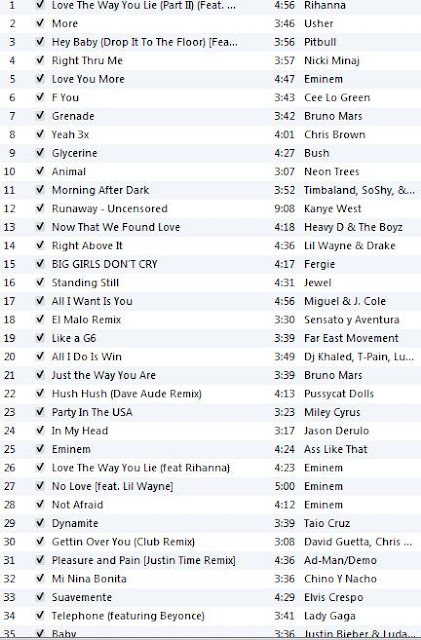 great choices on some of those songs. especially f you. that one is amazing. What a great idea. Definitely going to have to try this for my next solo race! That actually makes perfect sense!!! It would motivate me that's for sure. This is a fantastic idea. Thanks! That is genius. 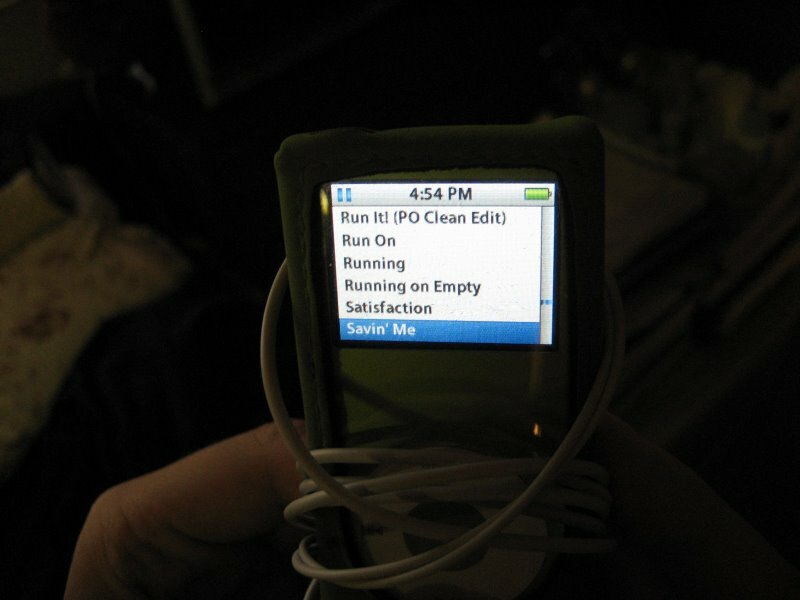 I can't believe I never thought of this, because playlist burnout happens to me FREQUENTLY. So trying this my next race! love it! i need some new tunes too! thanks for posting! Music used to be key to me on runs, but after running lots of a kiddo, I don't use it as much anymore. Still, I understand the appeal of a song feeling "new" on race day.